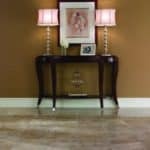 The most common types of tile are porcelain, ceramic, and glass; however, there are many other types of tile choices available to enhance your home. 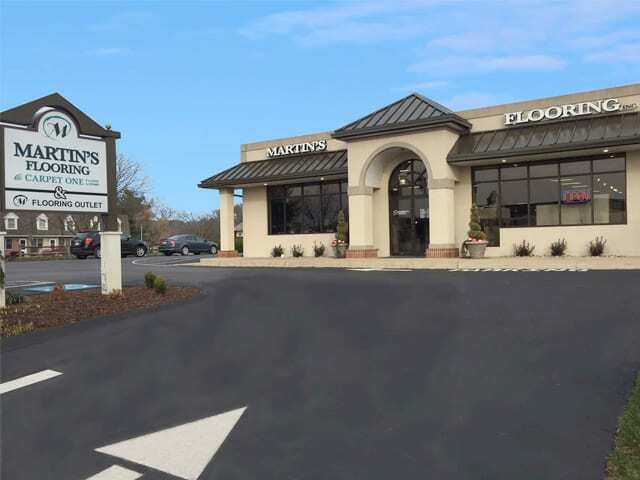 Some are made from traditional flooring materials, while others can be considered non-traditional. 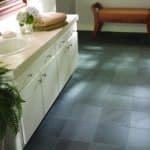 There are many other alternative tile flooring options. 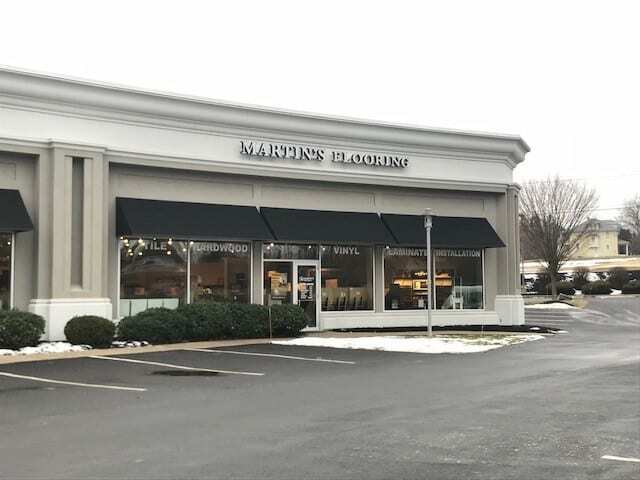 The expert sales and installation staff at Martin’s Flooring can help you find the right material and design that will enhance your home. 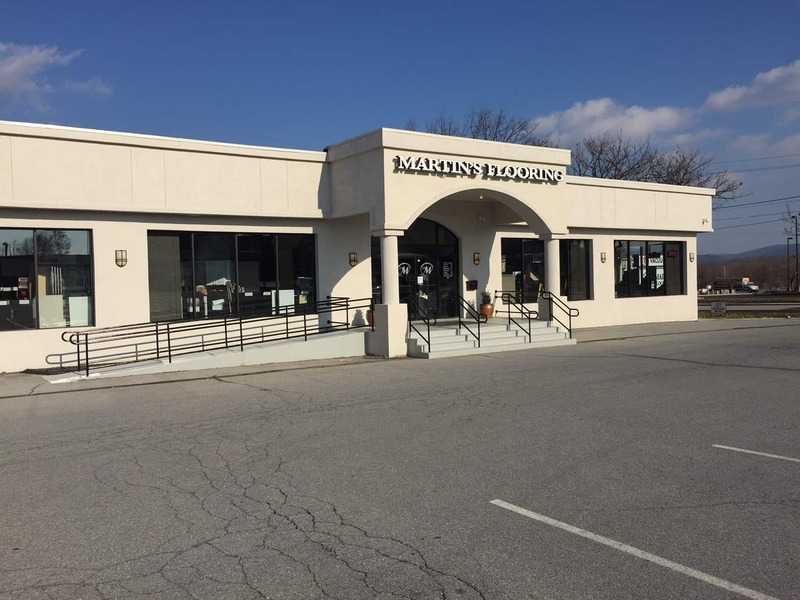 Stop by any of our four locations in Wyomissing, Lancaster, Harrisburg, or Denver to view all of the tile flooring options available to you. Carpet has been used as a flooring option for decades. The drawback to traditional carpet is that it is often monotone or only has one simple pattern. 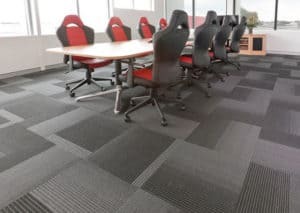 Carpet tiles can be any color or texture that you desire so that you can match any décor or creative flair. 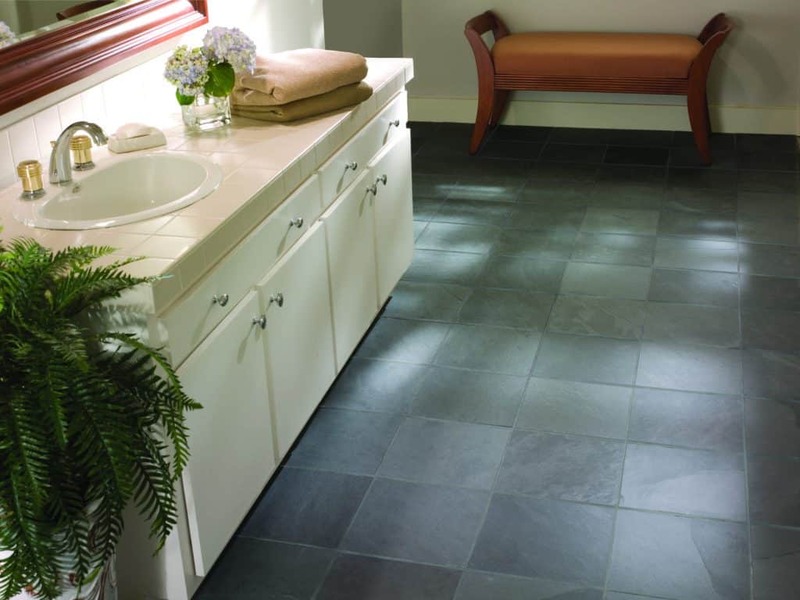 Many of the natural stones available for counter tops are also available as floor tiling. Marble, slate, limestone, travertine, granite, and pebble stone are some of the more common natural stone tiles in use today. Natural stone is quarried out of mountains or underground from all over the world and then cut into blocks. 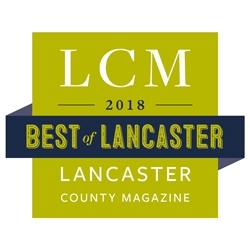 The various sized stone blocks are then transported to the cutting and finishing plants where the stones are cut into various sizes and shapes. The surface is then finished into a polished, honed, flamed, brushed, hammered, etc. look based on the customer’s specifications. One beautiful characteristic of natural stone is that there are no two pieces of natural stone alike. 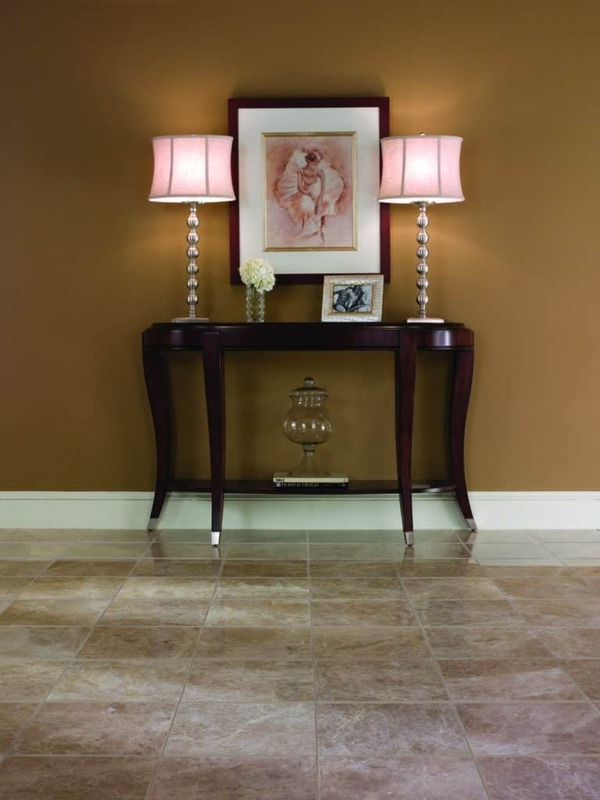 Some stones may have extreme variation in color and veining from tile to tile. This characteristic is common in many types of stone, and is part of the inherent beauty of using a natural product in your home. 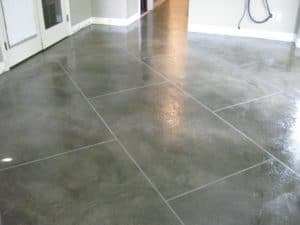 Many manufacturers have begun to use traditional concrete in a non-traditional manner. 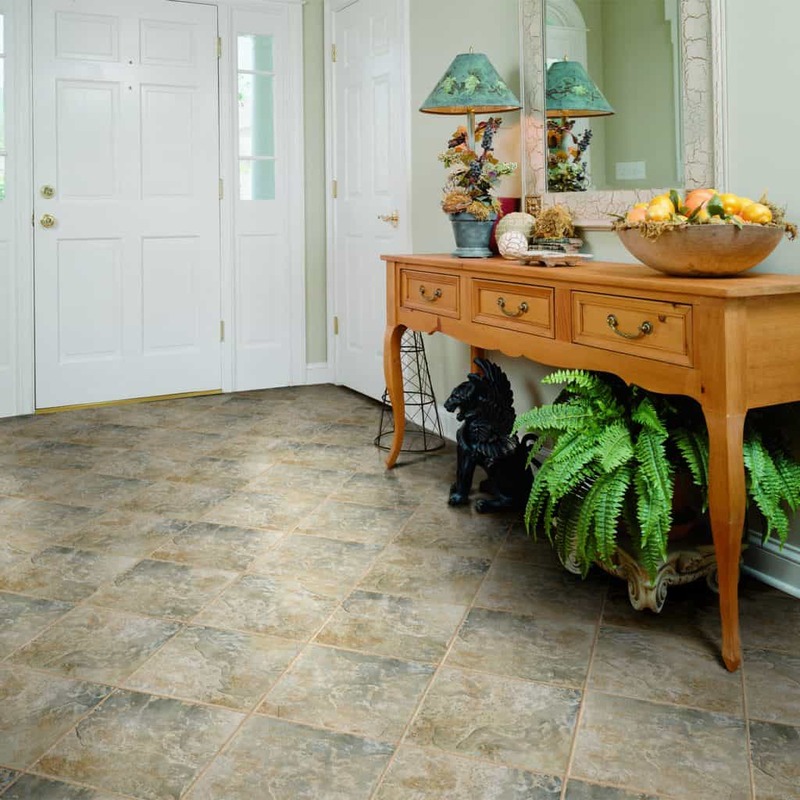 These are over-sized tiles that feature many different designs and offer a consistent feel throughout a room. 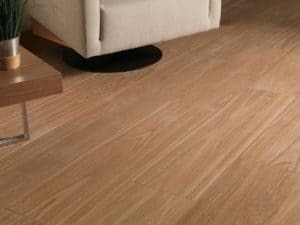 Wood Tiles are porcelain or ceramic tiles that have the look and shape of hardwood, yet the durability of tile. 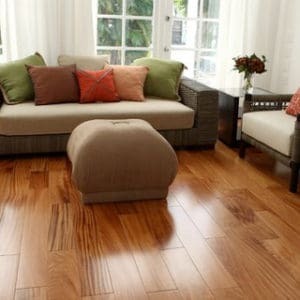 Wood-Look tiles are available in a variety of wood looks from teak to bamboo. 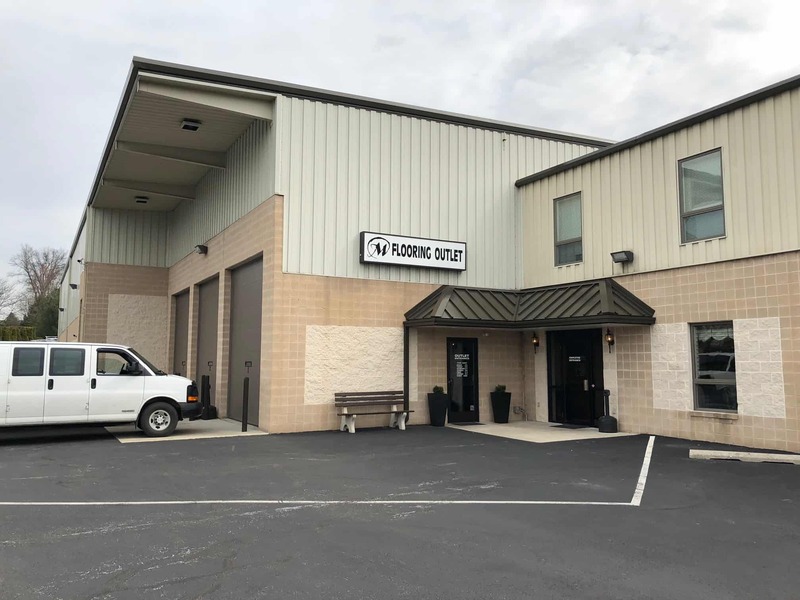 Vinyl tiles are manufactured to simulate the looks of other types of flooring, such as ceramic, porcelain, natural stone and even wood strip designs. 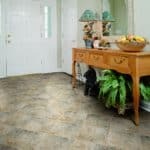 These flooring tiles are waterproof and very durable, making them an ideal choice for kitchens, laundry rooms, bathrooms, or anywhere else you would want to install them.